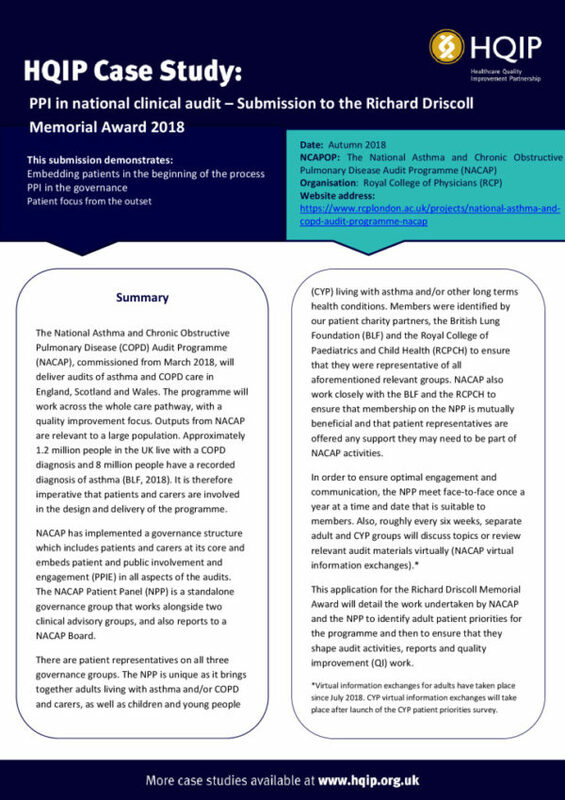 A new national clinical audit programme designed to improve the quality of care and outcomes for patients with asthma and COPD has been commissioned by the Healthcare Quality Improvement Partnership (HQIP) for the forthcoming 3-5 years. It will be delivered by the Royal College of Physicians (RCP) across England, Scotland and Wales. 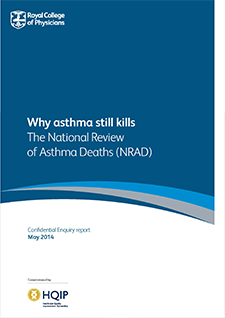 Approximately 9.2 million people are diagnosed with asthma or COPD, the two most common lung diseases in the UK. Annually, they account for 175,000 hospital admissions, 7.8 million consultations in primary care and in the region of £2 billion in direct health care costs. NACAP will support improvement in care for patients receiving treatment for asthma and COPD. 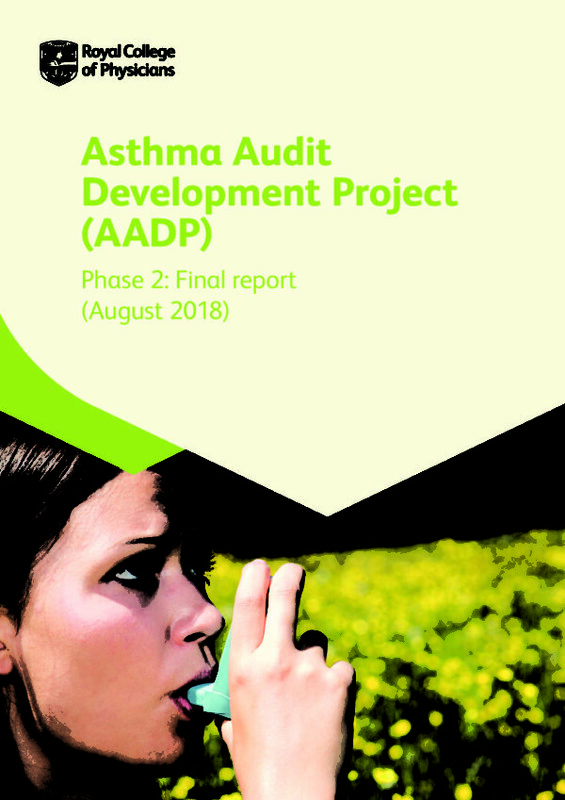 This new National Asthma and COPD Audit Programme (NACAP) adds adult and paediatric asthma to the existing National COPD Audit Programme, which consistently achieved outstanding levels of participation in NHS hospitals, pulmonary rehabilitation services, in England and Wales, and in Welsh general practice. Since its launch in 2013, it reported on the quality of care delivered to over 200,000 patients, by nearly 800 healthcare teams. The audit will be directed and delivered by an experienced and multidisciplinary team, including nurses, respiratory physicians, physiotherapists and patients. The RCP will work closely with professional bodies, royal colleges, patient charities, and other stakeholders to develop the content and methodology for the programme, collecting data in near-real-time.